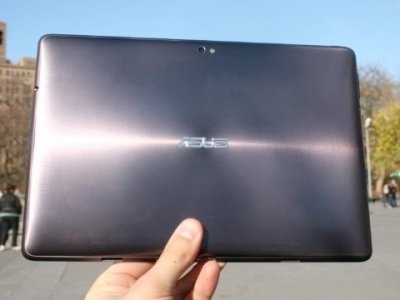 "I've been hanging on to the Asus Transformer Prime for the last month for a reason. Even though the tablet launched a few weeks ago, the real news was that Asus was going to push out a major update to the new version of Google's Android called Ice Cream Sandwich." Looks like a very good Android tablet has gotten better with Ice Cream Sandwich (ICS) - better performance, better multitasking, and the hardware just feels faster. In fact, the author states that swiping between screens is now faster than on the iPad2. Improved browser performance is another advantage, and there is now a control panel "for controlling stuff." Unfortunately, quality tablet apps are still lacking, according to the author, and there appear to be bugs in the ICS update process, and with the tablet's GPS. Despite these improvements, again according to the author, the iPad2 still is ahead in the overall user experience, but this is the best Android tablet to date.